Assistant Professor , B. P. College of Business Administration, Sector- 23, Gh-6, Kadi Campus, Gandhinagar, Gujarat. (Areas of teaching exposure include Financial Management, Accountancy, Entrepreneurship, Research Methodology, Banking and International Trade). Co-author of book titled Taxation, B.S.Shah Prakashan Pvt. Ltd., Ahmedabad, Gujarat. Co-author of book titled Company Accounts, B.S.Shah Prakashan Pvt. Ltd., Ahmedabad, Gujarat, [ISBN 81-8416-0917]. Co-author of book titled Financial Accounting, B.S.Shah Prakashan Pvt. Ltd., Ahmedabad, Gujarat [ISBN 81-8416-0771]. Co-author of book titled Corporate Financial statements, B.S.Shah Prakashan Pvt. Ltd., Ahmedabad, Gujarat [ISBN 81-8416-0917]. 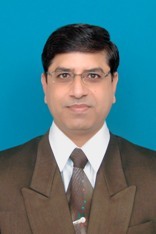 Co-author of book titled Management Accounting, B.S.Shah Prakashan Pvt. Ltd., Ahmedabad, Gujarat. Emerging Indian Economy in 21st Century: Challenges and Opportunities, Mangalam Publications, New Delhi. (First Editor). [ISBN 978-81-89972-51-6]. Foreign Direct Investment and Indian Economy, Mangalam Publications, New Delhi. (Co-editor). [ISBN 978-81-89972-61-5]. 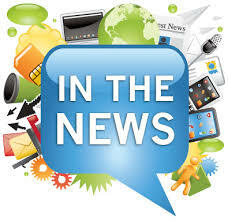 Emerging Role of Financial Services, Insurance and Banking, Mangalam Publications, New Delhi. (Co-editor). [(ISBN 978-81-89972-82-0)]. Contemporary Issues of Tourism, Banking and Education, Mangalam Publications, New Delhi. (Co-editor). [ISBN 978-81-89972-83-7]. ‘Microfinance Sector in India-An Overview’, in Litty Denis eds Microfinance in India & Communities at the Bottom of the Pyramids, Archers & Elevators Publishing House , Bangalore, [ISBN 978-93-85640-54-4] 2017. ‘Composition of India’s Foreign Trade since Mid Nineties’, Quest, VII (II), August, 2017, [ISSN 0976-3317]. Performance of India’s Foreign Trade – An Overview, Journal of Humanities, Social Science and Management, 2014. [ISSN 0974-9772]. ‘Foreign Investment and Firm Level Operating Performance: Case of Reliance and Tata’, Journal of Humanities, Social Science and Management, III (II), July-Dec., 2012, pp.110-17. [ISSN 0974-9772]. ‘Comparing Pre and Post Merger Operating Performance:Case of Selected Top Indian Mergers’, Journal of Management Outlook, Vol.2,No.2, July-Dec., 2012, pp.127-32. [ISSN 2231-1769]. ‘Performance of Non-Financial Private Corporate Sector of India in the Post Reform Era’, Indian Journal of Management, 1 (2), 2012. [ISSN 2277 3304]. ‘Are Mergers and Acquisitions Beneficial? The Case of Tata’s Corus Buy’, International Journal of Financial Management, 1 (3), 2011. [ISSN 0974-9772]. ‘Issues of Subcontracting in Small Scale Industries in India in the Face of Liberalization’, Journal of Humanities, Social Science and Management, 2 (1) 2011. [ISSN 0974-9772]. ‘Why to Applaud Subcontracting’, 4th Indian Conference on Management organized by S. K. Patel Institute of Management & Computer Studies (MBA), Gandhinagar, 2011, Excel India Publishers, New Delhi. [ISBN 93-80697-81-3]. ‘Indian Economy in Two Decades of Reforms: Some Critical Issues’, Journal of Humanities, Social Science & Management, IV (II), July-December, 2013. [ISSN 0974-9772]. ‘Relating Public Expenditure with Trade and GDP in India: An Analytical Note’, TIMS-QUEST, III (II), August 2013. ‘Cash Flow and OPR in selected Indian Banks: A Post Reform Overview’, in Litty Denis eds Emerging Role of Financial Services, Insurance and Banking, Magalam Publishers and Distributors, New Delhi, [ISBN 978-81-89972-83-7]Sept. 2012. ‘External Asset-Liability Position: An Emerging Facet of Indian’s Investment Abroad’ in Jayesh Tanna eds Contemporary Issues of Tourism, Banking and Education, Magalam Publishers and Distributors, New Delhi, August. 2012. ‘Foreign Investment and Trade Performance in India in the Post Liberalisation Period’, in Atul Bansal (Eds. ), Foreign Investment and Indian Economy, Mangalam Publications, New Delhi, 2012. [ISBN 978-81-89972-61-5]. ‘Dynamics of Investment Across Regions and States in India: A Microscopic View’, in Ramakanta Prusty (Eds. ), Emerging Indian Economy in 21st Century: Challenges and Opportunities, Mangalam Publications, New Delhi, 2011. [ISBN 978-8-89972-51-6]. ‘Inward FDI and India’s Balanced Regional Growth: A Post Reform Postmortem’, Proficient – An International Journal of Management, 3 (3), 2011. [ISSN 0975-475X]. ‘Convergence to IFRS- Issues for Banking Sector’, Lachoo Management Journal, 2 (1), 2011. [ISSN 2231-0118]. ‘Financial Inclusion in India: An Inter-state Analysis’, Sodh Drishti, 2 (3), 2011. [ISSN 0967-6650]. ‘Investing in Gold – A Midas Touch’, Proficient – An International Journal of Management, 3 (5), 2011. [ISSN 0975-475X]. ‘Economic Analysis of Cost in Small Business’, Journal of Humanities, Social Science and Management, 1 (2), 2010. [ISSN 0974-9772]. ‘Profitability Performance of Co-operative Banks in India: An Empirical Study’, in Atul Bansal and Parimal Vyas (Eds. ), Indian Service Sector: Present Scenario and Future Perspective, Mangalam Publications, Delhi, 2011. [ISBN 9789381142158]. Trainer at the Institute of Hotel Management (IHM), Ahmedabad for the CHT Training Programme sponsored by Ministry of Tourism, Government of India, New Delhi. (2008). Felicitated in Sarswati Sanman Samaroh -2013 organized by Shree Balvi Mataji Mandir,- Chorvad for Extra ordinary Achievement i.e., Ph.D in Management on 12-10-2013. 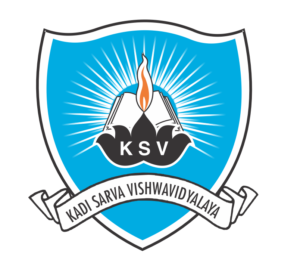 Cleared English Proficiency Test Conducted by Kadi Sarva Vishwavidyalaya with 71%. Passed Civil Defense Basic Training Conducted by Civil Defence, Government of Gujarat during 18-03-2013 to 23-03-2013.